One of the opportunities I have taken advantage of is Matthew Kelly’s “Best Lent Ever” video series. I thought about the question in the context of marriage, and it appears that’s exactly where we find ourselves. It has been interesting for me to be involved with marriage preparation and marriage counseling – and dealing with many of the same issues over and over. Each couple coming in for marriage preparation or relationship help comes in thinking there is “a technique” I will offer to solve their issues. Sometimes my frustration deals with offering some technique to improve a relationship only to have the couple, for whatever reason, not use it. Now we have two problems: One problem that the couple brought to the first session; and, second, the couple’s failure to utilize the possible solution. I attribute this chaos to the fact the clients/couple have not placed order in their lives. By this, I mean focusing on the foremost relationship: first, with God; second, with each other. If we do not have a strong relationship with God, if we aren’t in the habit of speaking and listening to God regarding our lives, then we are settling for the worldly solutions through the friends and neighbors we confide in. I have heard over and over again how difficult it is to love God when we can’t love our neighbor. This is especially true when our neighbor is our spouse. Routinely, I have spoken with people concerning marital issues, all the while they are going to church and receiving sacraments but refusing to speak to one another. It’s amazing how the power of rationalization works within us. The solution to all this is both simple and complicated. Our first priority is to come clean in our relationship with God and invest our total selves into a deep relationship with the Trinity – the Father, Son and Holy Spirit. It might start with going to confession, looking at our lives for those elements which keep us separated from God and taking them out of our lives. Then, we are totally free to reestablish our relationship with our spouse. We each begin Lent with the admonition to turn from sin and be faithful to the Gospel. The Gospel has the best “techniques” ever to build and deepen any relationship. So, ask yourself: Have you been approaching your issues in relationships with worldly solutions or utilizing the graces afforded through the spiritual resources of the Trinity? It may be time to try something new. If you would like to explore that angle with someone, contact Catholic Counseling Service to assist you. You can reach us at 861-6245. 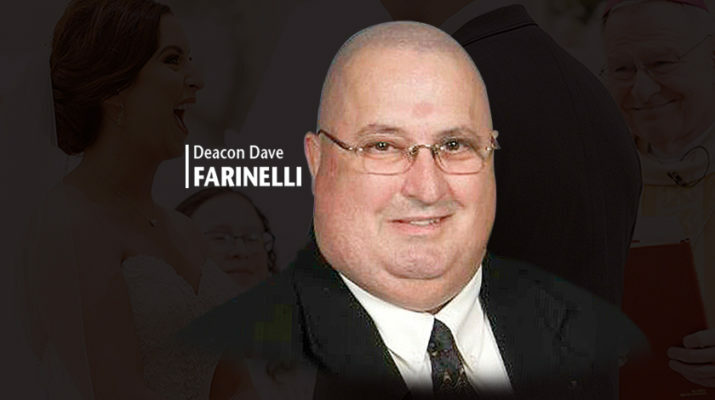 Deacon David Farinelli is clinical supervisor and counselor with Catholic Counseling Service. He can be reached at dpkc333@yahoo.com.